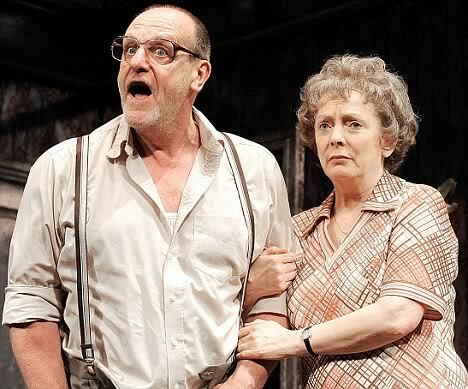 Went to see Alan Bennett's Enjoy starring Alison Steadman and David Troughton last night. Our friend Lou had two tickets for her birthday, and after a little wrangling amongst "the gang" I was designated New Best Friend Forever for the evening. We both mused at the realisation that this was the first play either of us had seen for a long time that wasn't a musical... But what a treat it turned out to be! The "action" all takes place inside one of the last of the "back-to-backs" in Leeds, amongst the rubble of "slum clearance". Connie (Mam) is going a bit senile, and Dad (Wilf) is a miserable old sod ("since the hit-and run"), and is looking forward to the comforts of a new maisonette (although secretly he would miss the regular caller who supplies him with smutty mags). The plot twists and turns in a manner that would make Joe Orton proud, with some hilarious scenes including Dad's unfortunately premature rigor mortis (well in one part of his body anyhow), the arrival of a neighbour (making up "traditional Northern customs" for the observers) and the eventual revelation that Miss Craig, the visitor, is in fact the couple's long-lost (and to Dad, denied existence) son! As you would expect, the acting is superb, some of the lines are Alan Bennett at his best ("I keep that toilet like a palace"), and the whole endeavour is a brilliantly woven combination of dark humour, slapstick and gritty observation of a dying way of life. Read Charles Spencer's review in The Telegraph. 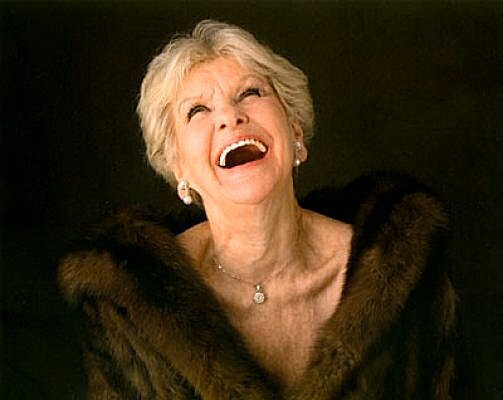 Merely because Elaine Paige played one of her songs this morning on her Radio 2 show, my thoughts turn to one of my favourite showbiz artists ever - the fantastic Elaine Stritch! Still very much in the business (at the age of 83! ), Elaine cannot be summed up succinctly - a career that spans seven decades is not to be sniffed at! 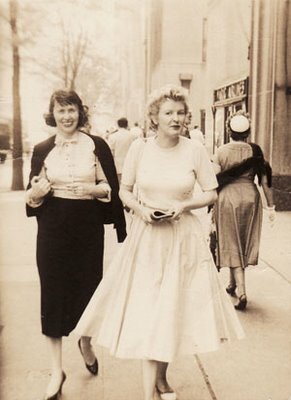 Needless to say, the "Grand Dame of Broadway" has worked with them all - Noel Coward, Rogers & Hart, Irving Berlin, Ethel Merman, Jule Styne, Betty Comden & Adolph Green, John Lahr, Hal Prince, and of course Stephen Sondheim. She trained at drama school alongside giants of the acting world, including Marlon Brando (with whom she had a brief, if apparently unconsummated, flirtation) and Bea Arthur. In the 1970s she moved to the UK, taking up a long residence in one of the suites at the Savoy. It was during this time that she became most famous to British audiences, playing alongside Donald Sinden in the hugely successful ITV comedy Two's Company, and appearing several times on Parkinson, and in Tales of the Unexpected and Jackanory. After the death of her British husband in 1982, she returned to the US, where she has not stopped working since - a variety of TV shows from The Cosby Show to The Big Gay Sketch Show. And along the way she continued to appear on stage, most notably her award-winning one woman show At Liberty. It was at the UK run of this show at the Old Vic in 2002 that we were privileged to see the divine Ms Stritch on stage for the first time. Madame Acarti was particularly thrilled, having been a fan of hers since acquiring a copy of her eponymous 1960s album Stritch. And she certainly didn't disappoint! Interspersing songs from her long repertoire with snippets and anecdotes from her life and theatrical career, it was a magical occasion - and a rare opportunity to see a true legend perform. "Contrary to general belief, I do not believe that friends are necessarily the people you like best, they are merely the people who got there first." Born into a bizarre background - his father was the WW2 MI5 agent Baron von Ustinov, his mother a painter and ballet designer, and he could trace his heritage to Russian, French, Italian, German and even Ethiopian nobility - the young Ustinov was destined to become a theatrical individual. 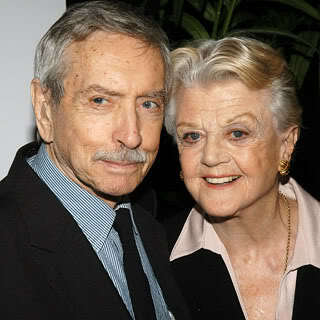 And indeed his tutelage in drama led him to appear in a multitude of major films alongside such top actors as Humphrey Bogart, Robert Taylor, Deborah Kerr, Terence Stamp, Kirk Douglas (in Spartacus) and of course the cavalcade of stars who made up the cast of his blockbuster Agatha Christie movies. Although he won Best Supporting Actor Oscars for both Spartacus and Topkapi, it is of course for his wily portrayal of Hercule Poirot in the magnificent Death On The Nile and Evil Under The Sun (and in four lesser-known follow-up Christie films) that he became most famous across the globe. Despite his international renown as goodwill ambassador for UNICEF, Peter Ustinov was adopted by the British public as "a national treasure" largely as a result of his many fascinating and entertaining appearances as a guest on chat shows such as Parkinson, and Parky himself rated him as one of his top five guests - "God's gift to the chat show host". In an interview, he was once asked what he would like it to say on his tombstone, Ustinov replied "Please keep off the grass". RIP - a great man. We went en masse to see what may well turn out to be the most spectacular, the most uplifting and most fabulous show of my life! Mere words cannot describe the sheer exuberance of the experience - all twelve of us were completely blown away by it, and want to see it again. 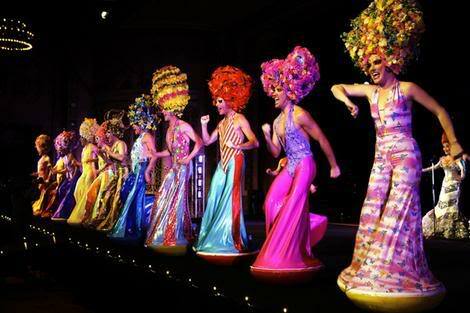 Taking the "simple" premise of transferring one of the gayest movies ever Priscilla Queen of The Desert to the stage, the producers and designers have had a field day with this one. No excuse is wasted for a magnificently over-the-top glitteringly costumed dance number - from the opening funeral scene to the Alice Springs cabaret show itself (which is, as anyone familiar with the story knows, is the whole reason these three mismatched drag artistes are travelling across Oz in the first place). The dancers are all brilliant, with especial mention for the character players such as the "Tina drag/Miss Understood" and the fat woman in the infamous bar scene. They all have such energy, as they meet the demands of costume change after extravagant costume change without seemingly stopping for breath. The three divas perpetually suspended above the action are magnificent singers who keep the whole thing together. And of course the Thai bride who does her unspeakable act with ping-pong balls (to the classic Pop Musik incidentally) is a show-stopper. So who or what is the true star of the show? 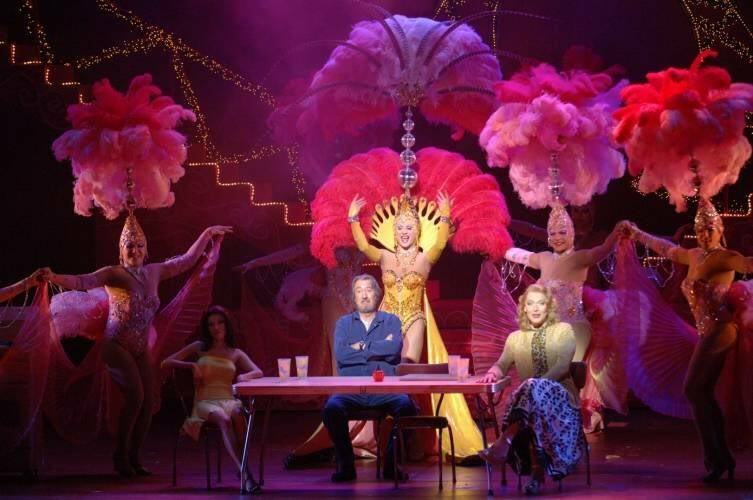 As well as the exuberance of the lead actors, the energy of the dancers and singers, and the breath-taking costumes, the biggest star has to be Priscilla herself! The centre of most of the action, this million-pound monster bus (complete with its sign "Rear Entry - Upon Request") provides the most spectacular transformations of all. 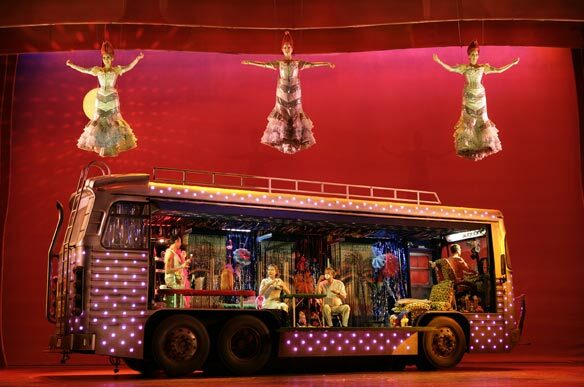 Painting it pink results in a mass of illuminated fairy lights to appear all over its sixty-foot body (which from then on keep changing to suit the mood), the open sided interior is the focus for some of the best scenes, and as for Felicia's sparkling diva moment singing Aida seated on a sparkly shoe on the roof - that has to be seen to be believed! This is a performance no-one should miss. You are absolutely guaranteed to leave feeling happier than you ever thought you would from seeing a show, covered in confetti, dazzled by the biggest glitter-ball in the world, aurally battered by disco songs you had forgotten you really loved, and perhaps for the first time wanting to put on an outrageously over-the-top frock and belt out a medley of Kylie songs from the top of a rock in the middle of the desert... Believe me, you will! Happy birthday today to one of the greatest singers of all time, Miss Aretha Franklin! 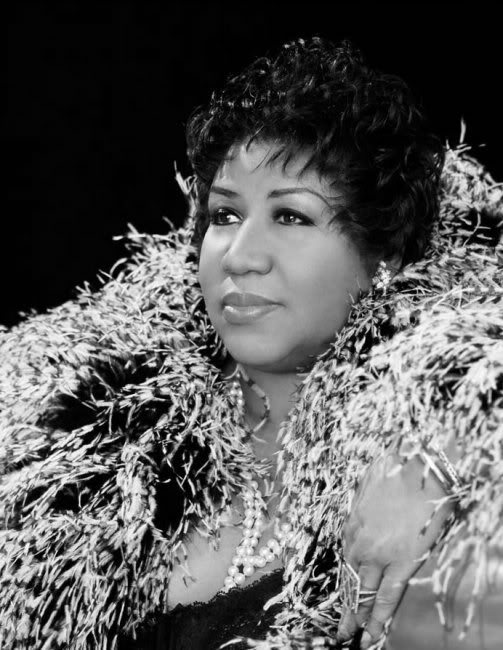 Rightly lauded throughout her five-decade career as "The Queen of Soul", Aretha has tried her hand at many genres of music, including gospel (her roots), jazz, pop, R&B, disco, and even opera. Always a fighter, she emerged from a lowly background with two teenage pregnancies already behind her, to become a hit recording artist at just 18. But it was to be a further few years before she released the ground-breaking Respect, and became an international sensation. She swiftly followed up this success with classics such as Think, I Say A Little Prayer and Spanish Harlem. In early 1968 Franklin won her first two Grammies and went on to win eight "Best Female R&B Vocal Performance" awards in a row (and eighteen in total), she has been awarded the Kennedy Centre Honour and The Presidential Medal of Freedom, and was the first woman to enter the Rock & Roll Hall Of Fame, selling millions of records along the way. She has collaborated with the greats of soul and pop, including Otis Redding, Luther Vandross, Quincy Jones, Burt Bacharach, George Benson, Eurythmics, James Brown, George Michael and Lauryn Hill, yet remains very much her own woman, with famous "spats" with Roberta Flack, Beyonce and Tina Turner. Always larger-than life, Aretha Franklin is a formidable force to be reckoned with, and there is no-one, vocally, these days who can touch her! Wonderful news today that the lovely June Brown has received a BAFTA nomination for her part as Dot Cotton in EastEnders. In real life June is not an East-ender at all. She was born in Suffolk 82 years ago. In her long acting career, she has played on stage Mrs Danvers in a production of Rebecca as well as such classics as An Inspector Calls, The Lion in Winter and A View from the Bridge. On TV, she had minor parts in Dixon Of Dock Green, Angels, Coronation Street, Dr Who, The Bill and The Duchess of Duke Street, among many others. She was also brilliantly cast as Nannie Slagg in Gormenghast! 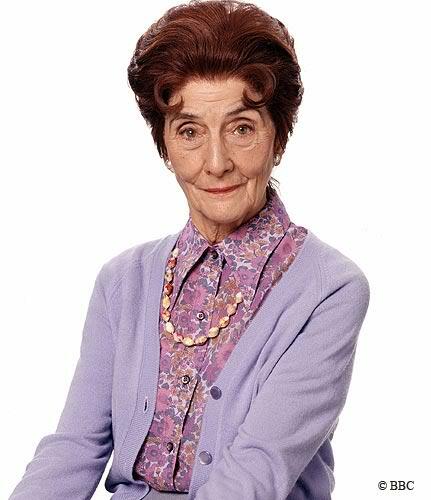 Inevitably and understandably a bit of a gay icon (she even has a gay club in Cambridge named in honour of Dot, at which she has made several personal appearances), June's portrayal of the uncompromising chain-smoking Dot Cotton has spawned numerous drag impersonations. Yet she made history by being the first and so far only actress to carry an entire episode single handed in the history of British soap, for which she was previously nominated for a BAFTA. She deserves the accolade of "national treasure, if anyone does! Our little gang spent a lovely sunny day today walking the South Bank of the river from the Greenland Pier (where we got off the riverboat from London Bridge) through Rotherhithe back to our starting point. It's all a bit bizarre, this redevelopment lark - everything is so new and so identikit, and even one of the new bridges across a wharf inlet is called the "Barratt Homes" bridge. True to form, our only saving grace (and practically the only actual old buildings apart from converted warehouses) were the pubs. How jolly! 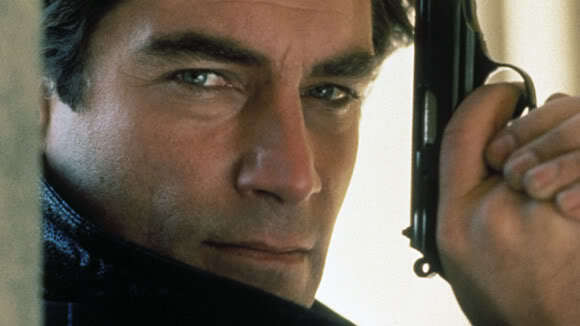 Possessed of one of the most seductive speaking voices in acting history, the lovely Timothy Dalton is - unbelievably! - 65 years old today! In his long and enviable career, Mr Dalton has played alongside most of the greats of theatre and movies - Peter O'Toole, Katharine Hepburn and Anthony Hopkins in The Lion in Winter, Richard Harris, Alec Guinness, Robert Morley, Charles Gray, Dorothy Tutin, Hugh Griffiths, Harry Andrews, Vanessa Redgrave and Glenda Jackson amongst them. Ten years ago the charts in the UK were a very gay place indeed... 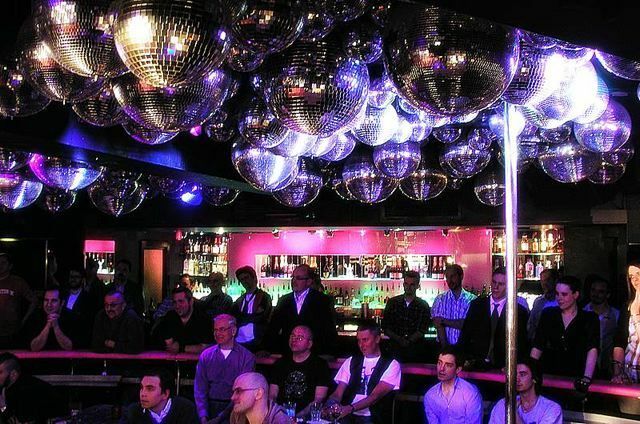 I was still living in Plymouth, and one of my "jobs" was to help out the managers of that city's gay bar. Not only did I write a database for their accounts, but I also updated their "Top Ten" jukebox every week. And the hits around at the time certainly were crowd-pleasers! I was overjoyed to be able to fill the machine with such fluff as The Vengaboys, Steps, 'N Sync (before Justin Trousersnake became an annoying pseudo-R'nB artist, when he was still just an annoyingly chirpy boy-bander) and even B*Witched (what was it with this bizarre spelling of band names?) - all gay, gay, gay (in the homosexualist manner)! But there was one artist who really seemed to embrace this queeny agenda in early 1999. Making her comeback in a shower of glitter, sequins and feathers, with a coterie of the campest gay sing-a-long numbers since the heady days of Hi-NRG and its successor genre "Handbag" - none other than Cher! The exhibition is a wonderful and comprehensive assemblage of costumes - including that pointy bra, and outfits from Like A Virgin, Material Girl, Evita and from her tours - together with magazine covers, her entire back catalogue of albums, Madge dolls and case after case of souvenirs, autographs and awards. Well worth seeing, in spite of the grim warehouse-like exhibition space of the old Truman Brewery. Then it was onwards to Polari. Especially for "Boyz Night", I had a t-shirt printed featuring a great pic of Bowie with William Burroughs, which I thought appropriate. Freedom Bar looked like an advertising campaign for the similarly-named magazine, however... They are "official sponsors" so I suppose it's only fair. As always, the lovely Dom Agius provided a suitably-themed and eclectic mix of tunes (not often you'll hear Bessie Smith and Lindsey DePaul in the same playlist! 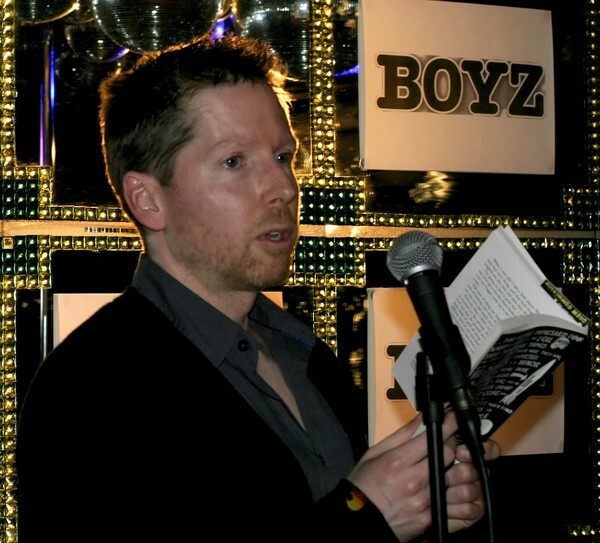 ), before the readings began with the very first Polari Night unpublished author - John Joseph Bibby (who we had previously seen doing a most unusual "striptease" at the Quentin Crispmas event in December). He proved to be a talented writer, too, with a bizarre tale of a gay drifter and his encounter with a fortune-teller ("The Oracle"). After a short hiatus, we were entertained by Drew Gummerson (above) reading from his new novel Me and Mickie James, a quirky tale about the adventures, life and loves of an aspiring pair of musicians. The fact that Mickie just "happens" to be a hunchback, the boys "happen" to be lovers, and they "happen" to end up in a hotel room in Ho Chi Minh City with a compulsive masturbator might give you an inkling of quite how quirky this tale is! How can you follow an act of that magnitude? Well, writer and columnist Adam Mars-Jones (below) certainly gave it a try. He began with a fantastic piece from his new book Pilcrow. Written from the perspective of a small boy, it accurately summed up how small boys think about things - in this particular case the "argument between a man and a lady about making pies" (his interpretation of the classic song Anything You Can Do (I Can Do Better)). Then he treated us to one of his unpublished works, a much more graphic tale about a sexual encounter between a closeted youth and a biker in the scrubland of Box Hill. It is a shame this fab story has never yet been seen in print (for family reasons, apparently), but hopefully one day it will get the exposure (oo-er) it deserves. Yet another in a succession of excellent nights courtesy of Paul, Rupert and Dom, and as always they managed to pack out the sizeable Freedom function room - not bad for a midweek cultural event! Not content with leaving it there (as is our wont) we ended up till the wee small hours in the fabulosa Players' Theatre piano bar - drinking Port of all things... No wonder I've been feeling slightly fragile today. Council leaders have compiled a banned list of the 200 worst uses of jargon, with "predictors of beaconicity" and "taxonomy" among the worst horrors. The Local Government Association says such words and phrases must be avoided for staff to "communicate effectively". 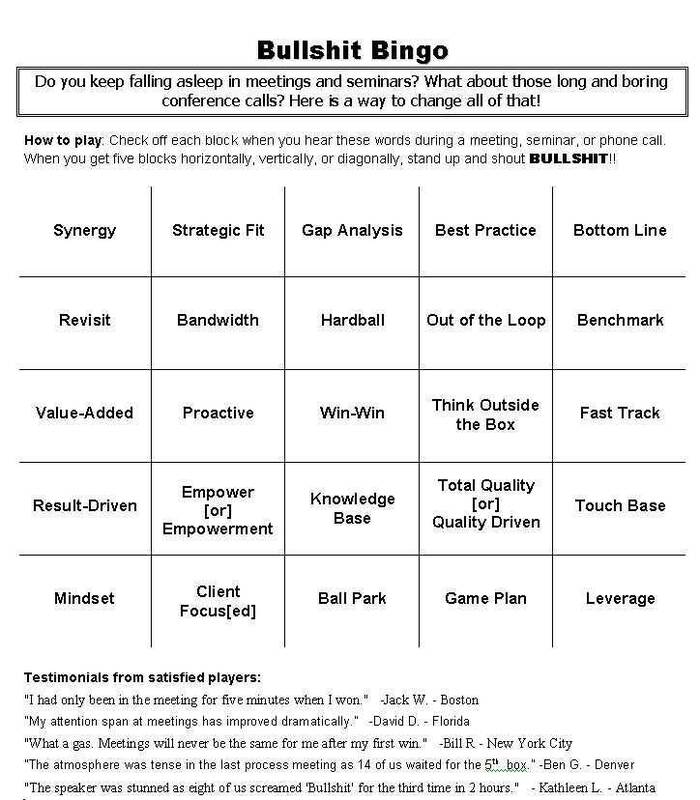 Cliches such as "level playing field" and inscrutable terms like "re-baselining" have been prohibited. LGA chairman Margaret Eaton said: "The public sector must not hide behind impenetrable jargon and phrases. Why do we have to have 'coterminous, stakeholder engagement' when we could just 'talk to people' instead?" I have always been a great advocate of clear, plain English - it was my job for many years to try and translate this moronic "management-speak" into a form of words that real people could understand. Not necessarily the "conversational tone" we all adopt here in the blogosphere [itself a jargon term, but quite a cute one], but articles and information that the intended audience might actually read, and in doing so absorb any essential information or messages contained within. It seems simple really, but somehow the assembled petty minds of the bureaucrats and "consultants" of this world have managed again and again to miss this very important point, and I sometimes despair at the incomprehensible nonsense they produce. More power to the LGA! Professor Stanley Unwin avertisles wordyprocessy. Deep joy. French and Saunders. Of course. Twenty years ago this week, I noticed a change was becoming evident in the British charts. 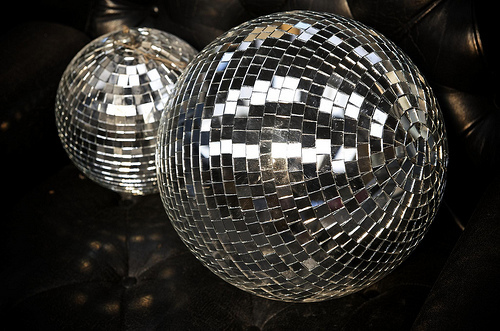 An "underground" phenomenon that had already being doing the rounds for a couple of years, with its infectious bouncy beats and crossover sampling, a mix of electronic music, disco and jazz-funk piano, was causing a sensation. I first caught onto this new style of dance music - which during the whole of 1989 began to conquer the world in its many forms ("acid house", "garage", "funky house", "handbag") - while I was staying at a friend's place in Kent (many moons away from the backward music scene of Wales), and at that point I realised that "cool" club music had made a comeback, and there was a alternative to the Stock Aitken Waterman years. Something big was happening, and these tunes were two of its early mainstream successes - soon to be followed by enormous hits for the likes of Deee-Lite, The Shamen and the rest. House was born! Spent a fab evening in Dorking to celebrate our friend Lou's birthday, and stayed over. 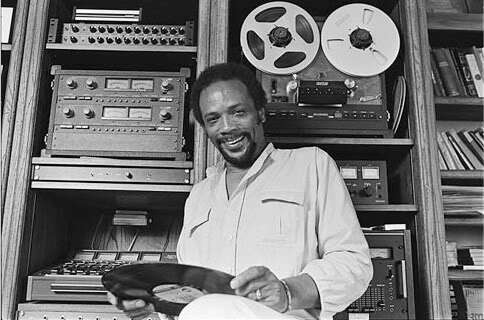 Happy 76th birthday today to the incredibly talented Quincy Delight Jones. Quincy began his musical journey as a trumpeter with bandleader Lionel Hampton in the 1950s, and from there soon gained a name for himself as an arranger, working with a cavalcade of the top artists of the day, including Sarah Vaughan, Count Basie, Duke Ellington, Gene Krupa and Ray Charles. With this respected career under his belt, he moved on to composing his own music, and was soon snapped up by Hollywood to write film scores, including In The Heat of The Night and The Italian Job. He continued as an arranger, working with Frank Sinatra, Peggy Lee, Dinah Washington and Ella Fitzgerald. En route he found time to write the classic Soul Bossa Nova (as featured in Austin Powers), and "discovered" Lesley Gore and wrote It's My Party for her. Whew! But this prodigious output continued throughout the 70s and 80s, and his success was assured as producer of Michael Jackson's greatest works, including his seminal solo album Off The Wall - a record that sold 20 million copies worldwide and rocketed Quincy Jones into the stratosphere of fame. He went on to produce both the biggest-selling album of all time, Thriller, and Jackson's follow-up Bad. Who knew that Edward Albee was still alive? 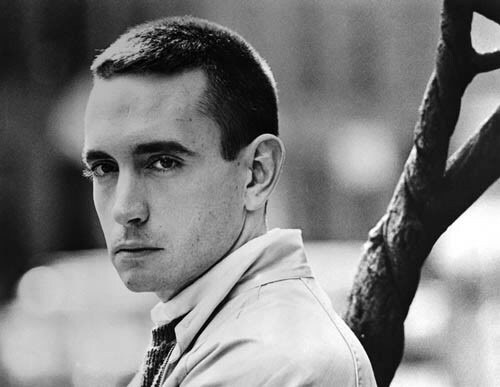 Celebrating his birthday today, at 81 Albee has certainly earned his title of "America's greatest living playwright". Adopted by a high society couple as a child, Albee ran away from his constrictive upbringing to join the literary set of New York's Greenwich Village in the 1950s. And his phenomenal legacy began there, with critically-acclaimed works such as Zoo Story and The Death of Bessie Smith. 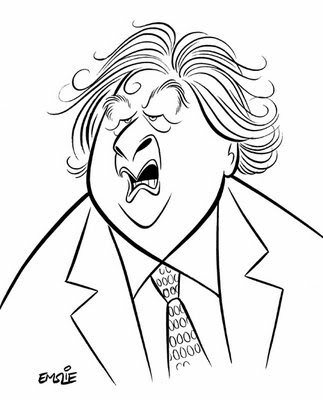 He was awarded the Pulitzer prize for A Delicate Balance, Seascape and Three Tall Women, and continued to produce award-winning plays over five decades, including The American Dream, and most recently with the 2002 hit Broadway and West End play The Goat, or Who Is Sylvia?. "I'm loud, and I'm vulgar, and I wear the pants in this house 'cos God knows, somebody has to! But I'm not a monster, I'm not!!" But it of course for his masterwork Who's Afraid Of Virginia Woolf? that he is (rightly) most admired and remembered. This tortuous dissection of a stifling relationship between two headstrong (and drunken) characters is held up today as a classic of world drama. It caused massive controversy in the straight-laced early 60s for its uncompromising use of vulgar language and uncomfortable scenes of verbal humiliation and implicit "sexual decadence". 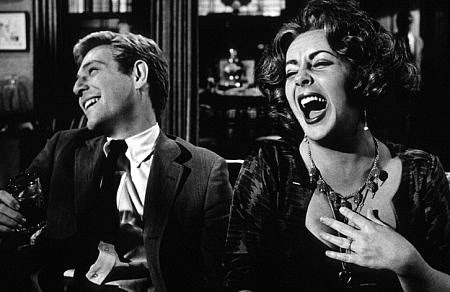 The 1966 film adaptation was a massive success, featuring possibly the very best cinematic performances of all the leading players' careers - Elizabeth Taylor, Richard Burton, Sandy Dennis and George Segal. All four were nominated for Oscars (the film itself having been nominated in all thirteen eligible categories, unprecedented at the time), and Miss Taylor and Miss Dennis won Best Actress and Best Supporting Actress respectively. In the hands of these masters, the movie is a brilliantly disturbing and engrossing example of modern film noir, as the viewer "eavesdrops" on the agonies of Martha and George's spiteful attacks on each other, and experiences the stifling discomfort of their humiliated guests. 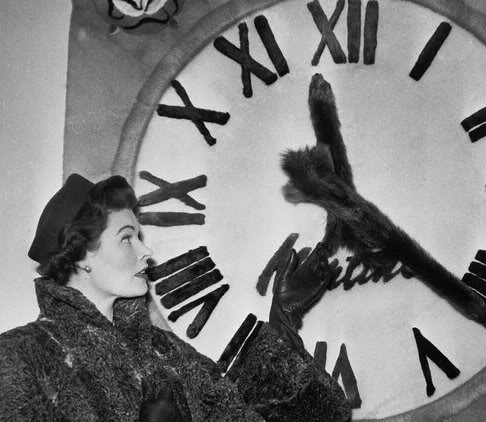 The film, as the play before it, caused uproar in an age when cinema censorship was still rife, and apparently Jack Warner chose to pay a fine of $5,000 in order that it would remain as faithful to the play (with its profanity) as possible. His faith in the project certainly paid off. Who's Afraid Of Virginia Woolf? - "Getting angry, Baby?" Who's Afraid Of Virginia Woolf? 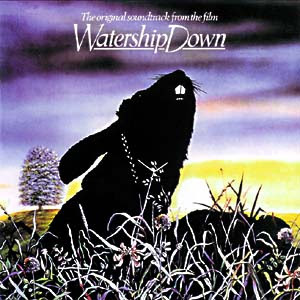 - "I am the Earth Mother, and you are all flops..."
Thirty years ago this week, the charts were dominated by one song - Bright Eyes by Art Garfunkel. Everyone was sick to death of it, as I recall. I don't know anyone who actually bought it. But there it was, in the words of Phil Oakey "the black hit of space, sucking in the human race." Evidence - if any were needed - of the eclecticism of music at the time were the "ones that got away"; those that hit the Top 5 in March 1979 but couldn't shift the big 'un. 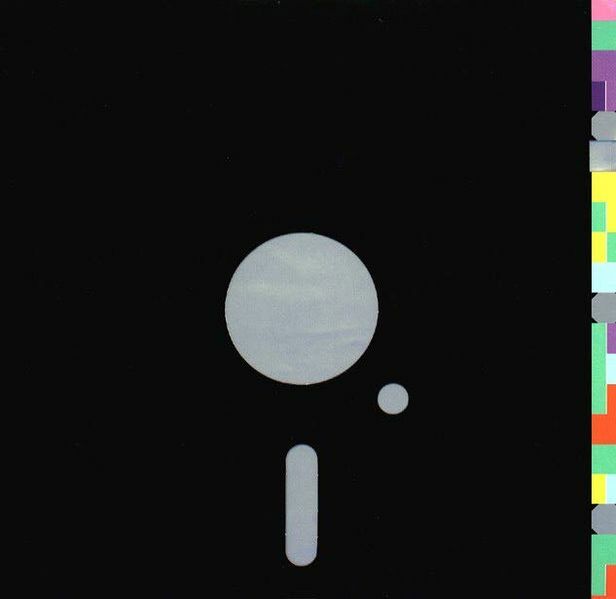 I was watching Sky Arts' Songbook featuring Bernard Sumner (of Joy Division and New Order fame) last night, and the interviewer asked where the inspiration for the biggest-selling 12" single of all time Blue Monday came from. Well, apparently the whole thing was conceived during New Order's first tour as a band after Ian Curtis' suicide and the end of Joy Division, and pays its dues to the influence of the electro gay disco being played in New York in the early 80s. Monday - sun is shining, daffs are up, and my thoughts turn to tacky music again! We were listening to the fab Paul O'Grady show on Radio 2 yesterday (so much better than Elaine Paige, for whom he is covering for a few weeks), and among his selection of show music he featured this marvellous slice of incredibly bad kitsch. Happy birthday today to one of my greatest inspirations - Mr Gary Numan. 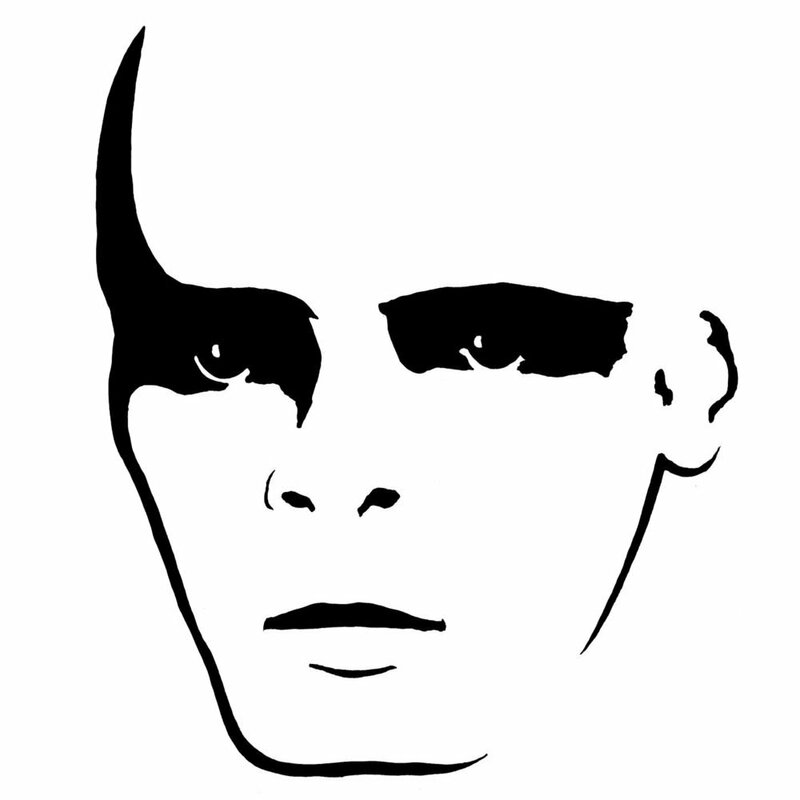 Why Numan, and not Bowie, Roxy, or Kraftwerk - his own acknowledged biggest influences? I was actually too young to appreciate the coolness of any of them. At the height of their powers in the mid 70s, my world revolved around Top of the Pops, glam (especially Queen), and the emerging "New Wave" and disco sounds. Numan's stark, steely presence - like some kind of "space elf" - and his mournful robotic vocals fascinated me. I bought every record (single and LP) he produced, went to see him at the Colston Hall in Bristol on his Telekon tour in '81, and began to model my look and tastes around this new alien synthesizer-driven world of his creation. In night classes, I used his iconic White Album image [above] to screen-print T-shirts, and I craved a diagonal-buttoned jacket like his. Little did I know at the time how much of a musical sea-change was just around the corner in his wake, with the rise of the Futurist/New Romantic movement I came to embrace. His song Jo The Waiter ("Held me close, behind the door marked 'Gentlemen'") became a bit of an inspiration during my coming out, too. His appearance on the music scene ruffled a few long-established feathers. 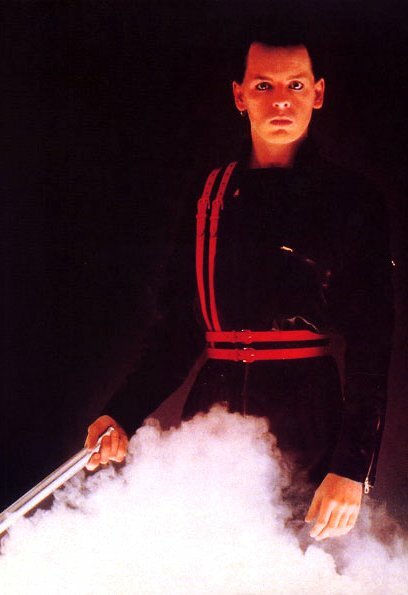 David Bowie famously wanted Gary Numan off the set of the Kenny Everett Show on which they were both scheduled to appear, saying that he didn't know that "cloning was part of the 80s". Miaow. 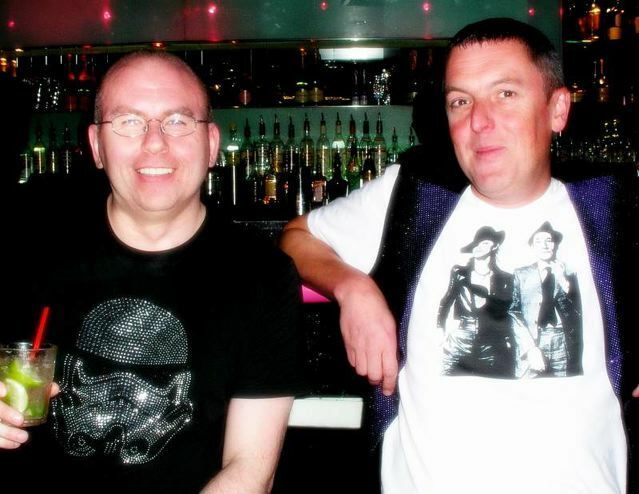 But it was through the "Numan influence" that I, and many others, came to rediscover the ground-breaking music of the original 70s pioneers via our local "Bowie/Roxy nights". Fifty years ago this month, a certain Swedish sexpot by the name of Anita Ekberg splashed around in the Trevi Fountain in Fellini's La Dolce Vita, and one of the iconic female screen images of the 20th century was born. 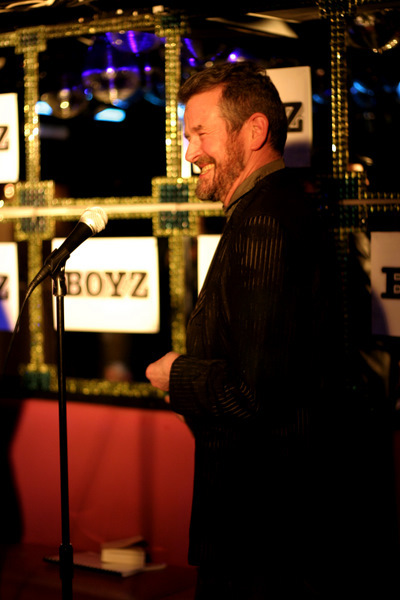 Read Duncan Kennedy's retrospective on the film. We went to see the Menier Chocolate Factory's new production of A Little Night Music last night - and what a show! Alexander Hanson is superb as the tormented Frederick, married for almost a year to Ann, a much younger wife who is "unfortunately still a virgin" despite his evident frustration at that fact. Events turn on their head when an old flame, the actress Desiree, comes to town. Brilliantly played by Hannah Waddingham (who was the "Lady of the Lake" in Spamalot), Desiree's reappearance after fourteen years, complete with teenage daughter, throws doubt into Frederick's life. Their duet You Must Meet My Wife is a skilful dissection of the foolishness of the marriage, at the hands of a much older, wiser woman. Frederick and Desiree's rekindling relationship causes problems for everyone when one of her lovers, the Count (accurately played as a complete madman by Alistair Robins) becomes psychopathically jealous. He uses his long-suffering wife Charlotte (the wonderful Kelly Price) to stir things up by telling the naive Ann about their affair, and she pours her heart out about her own unhappiness in the fabulous number Every Day A Little Death. Then it all gets really complicated as Desiree talks her mother Madame Armfeldt (played to bitter, imperious perfection by Maureen Lipman, who obviously relishes the part and delivers all the best lines in the show) into hosting a Weekend in the Country, where all the characters are uncomfortably thrown together. Delicious bitchiness ensues as everyone examines their own feelings about each other, and their relationships. 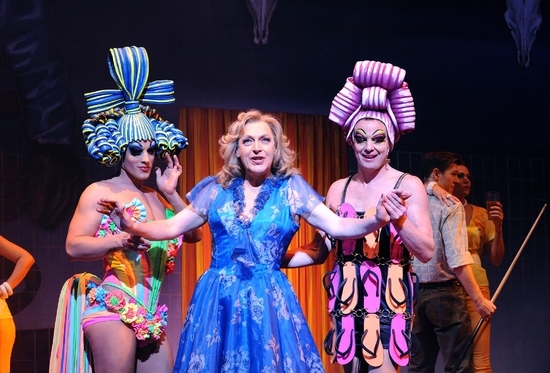 The most famous number of the whole show is of course Send in the Clowns, often treated as a torch song, but here magnificently delivered by Miss Waddingham as the desperate breakdown of a strong woman's defences in the face of a rapidly diminishing chance of happiness with her lost love. Utterly awe-inspiring - I could hardly breathe through her stunning performance. Miss Lipman's Madame Armfeldt gets her own show-stopper too, of course, as she reminisces about the flimsiness of the sexual morés of the younger generation, compared to the profitable nature of her own affairs, with Liaisons - and she really does deliver it magnificently! Many of the complex strands of these bizarre people's lives are drawn together in a denouement that leaves some wounds exposed, but resolves many more. Not a happy ending, nor entirely sad - just A Little Night Music. We had a great time, and even got the chance to have a little drinkie in the Green Room bar with the whole cast, including Maureen Lipman, afterwards. I highly recommend everyone to see this show! Although the entire run at the Menier Chocolate Factory sold out within weeks, the show transfers to the Garrick Theatre on 28th March. We have become Piano Bar aficionados! Spending some time with the family (Madam Arcati's niece and nephew) in the West End last night, we stumbled across the late night piano bar at the New Players' Theatre under the arches opposite Heaven. We hadn't been there for years - but what a find! Alas, another of the greats of British comedy has gone. Joan Turner, an opera-trained singer, DJ and "off-the-wall" comedienne, began her long and tumultuous career with the Crazy Gang (a 1950s anarchic comedy troupe, a sort of combination of Music Hall and The Goons) and was soon taken to the hearts of British audiences. She headlined at a Royal Command Performance above The Beatles, and rapidly became the highest-earning female singer in the UK. Fame was a double-edged sword for Joan, however, and despite her immense popularity here - with sell-out shows at The Talk Of The Town and her own TV and radio shows - she tried her hand at cracking the American market. This turned out to be a disaster, as her penchant for the good life, vodka and champagne and her terrible temper got the better of her. 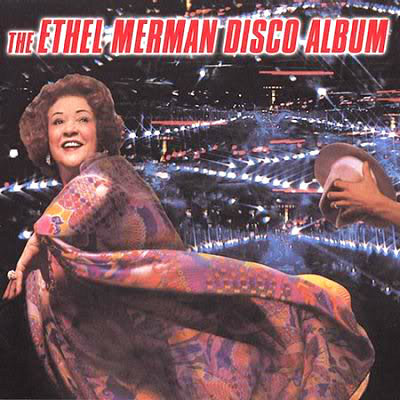 She ended up at one point living as a bag lady in Las Vegas and Los Angeles, looking for that "one big break". She was rescued from that fate when the media caught up with her in the US, and she returned to Britain in 2001. Despite her incredible list of famous friendships (she apparently had affairs with Peter Sellers and Tony Hancock), including Lynda La Plante, she never regained her fame and fortune. She even turned up drunk and fell off the stage at a dinner in her honour in 2003! Joan Turner - Call that a Dahlia? Good heavens! Can it really be thirty years since this was at Number One in the charts? I know it is usually Tacky Music Monday, but today is a special anniversary... 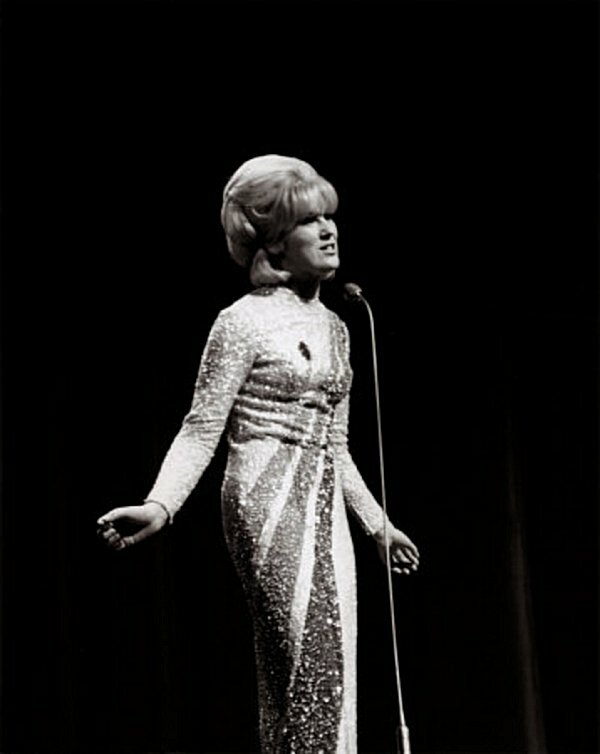 It is ten years since the world lost that most incredible of singers Dusty Springfield. Dusty had the most gorgeous singing voice - she had a rare quality that allowed her to tackle such different types of music as that of Bacharach & David, Holland-Dozier-Holland and Jacques Brel in one set, delivering each with a sublime grace that others could rarely match. She championed the rise to prominence in the UK of Motown, and with her support dozens of black artists including Martha & the Vandellas, The Supremes, Aretha Franklin, Stevie Wonder and Marvin Gaye created a niche for their music in this country long before 60s America would even give them airplay. Dusty's hidden lesbianism and drink dependency led to other problems that meant even after the massive success of her 60s albums, including one of the most lauded LPs of all time Dusty in Memphis, her career went into a bit of a decline throughout the 70s. 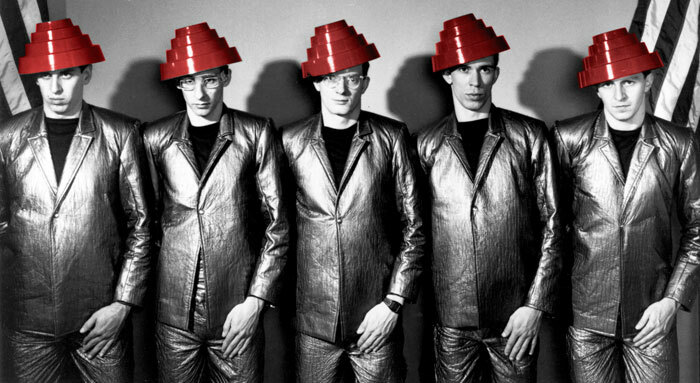 With the able assistance of Pet Shop Boys she made a well-deserved comeback in the 1980s, and she was rightly recognised for her lifetime achievements with a series of awards. Her death was met with huge fan hysteria, her funeral was attended by hundreds of people, the great and the good, and even the Queen said she was 'saddened' to learn that Dusty was dead (she had been due to go to the Palace to receive her OBE on the day she died). I was living in Plymouth at the time, and we all wore black armbands. Doing the Lambeth Walk, Oi! We had a great time at the Modern Music Hall event at the Drill Hall last night! Organised by the Camden LGBT Forum as a free closing gala for Gay History Month, I was lucky to get tickets before the event was featured in the gay press - which was a good thing as the place was packed! Our master of ceremonies was the fabulous Luke Meredith, trying his best to give the whole thing an authentic Music Hall feel - although I don't remember Leonard Sachs wearing fishnets and a leather thong on The Good Old Days! Mr Meredith is superb - not only keeping the evening's entertainment together, but also treating us to a selection of his own songs (including a love song to a Dalek! 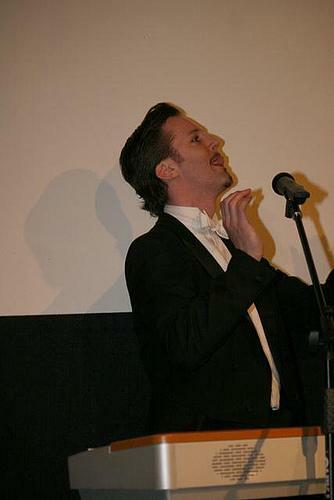 ), and getting the audience to take part in a good old fashioned sing-a-long. 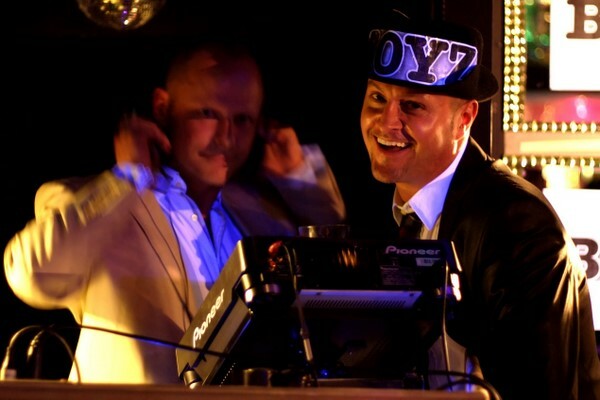 Surprise hit of the night was the very obscure Sjaak van der Bent, who describes himself as an "opera singer extraordinaire, self confessed failed heterosexual". He arrived on stage with a handbag and a fetching frock, and held the audience in raptures with his beautiful voice and off-the-wall repartee. The (very attractive) Snakeboy treated us to a few bellydance numbers, and there was (unfortunately) some mime - least said soonest mended.